Cupcakes, Coffee, and Charity! A Delicious Combination! By now, you all probably know that we love Kupcakes & Co., located in Elkridge, MD. One of the reasons (other than their amazing cupcakes), is they are committed to giving back to the community. Staying true to their commitment, for the month of February they created a special cupcake called Team Fight to support the Ulman Cancer Fund. The cupcake is only available by order for a little while longer and it’s only available one more Saturday! So get yourself over to Kupcakes & Co. to try it! Enjoy its yumminess and give to charity at the same time. It’s a win-win situation! While you are there (if you go before noon) you also MUST try their coffee and breakfast treats! I know this is a cupcake blog, but on my most recent trip there I had the chance to try a delightful cup of coffee and two different biscotti flavors, Orange Chocolate and Cinnamon Hazelnut. The coffee was simple and smooth. Exactly what I needed to start my morning off. Then I tried the biscotti and I was amazed. I’ve never made biscotti and can’t imagine what goes into making it, but Kupcakes & Co. does it very well! 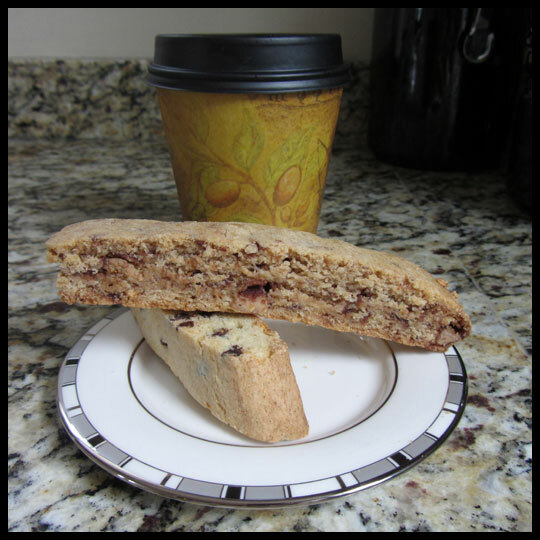 It somehow had the tough crumbly texture you would expect from biscotti, but remained soft and somewhat moist at the same time. It’s hard to explain, so you’ll have to go there and try it for yourself. You won’t be disappointed! If you haven’t entered our 100th Post Giveaway yet, you should! It’s really easy and fun! Just visit this page, and leave a comment with one word describing cupcakes. Winner will be selected at random! 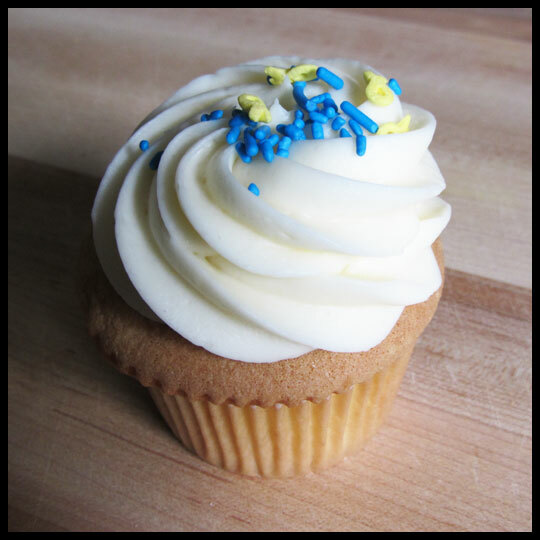 This entry was posted in Cupcakes, Maryland and tagged biscotti, blueberry, coffee, Cupcake, Elkridge, Kupcakes & Co., lemon, Team Fight by Stacy. Bookmark the permalink. I do believe the Team Fight cupcakes will be available by the dozen by special order all year long, but the Fundraiser only goes through 2/29. Thanks for supporting yhe Ulman Cancer Fund! Thank you so much for your amazing post! I really appreciated the biscotti section! I make all the biscotti, so what you wrote meant A LOT to me, so THANK YOU! Its not an easy thing to make, since you have to double bake it, but it’s delicious, so i love taking the time to make it!